British Architect David Chipperfield has often enjoyed recognition on foreign soil for his modernist approach to building design. Works such as the Museum of Modern Literature in Marbach, Germany or Veles E Vents in Valencia, Spain, illustrate his passion for functional buildings that provide practical space for people to live and work in. Favouring an industrial look, Chipperfield generously uses glass in a lot of his work and often employs it to provide his interiors with a greater sense of space. The public Library in Des Moines Iowa is a great example of Chipperfields style and reveals his passion for glass. Appearing to the naked eye as copper, a viewer would be forgiven for suggesting the skin of the building was made out of a metallic material. However, Chipperfield created the library walls entirely from triple glazing and only used a thin layer of copper wiring that he inserted between the first and second layers of glassto project the buildings metallic appearance. More recently Chipperfiled, has constructed two buildings in the UK that are set to open in 2011 and establish his reputation as one of the country’s leading architects. 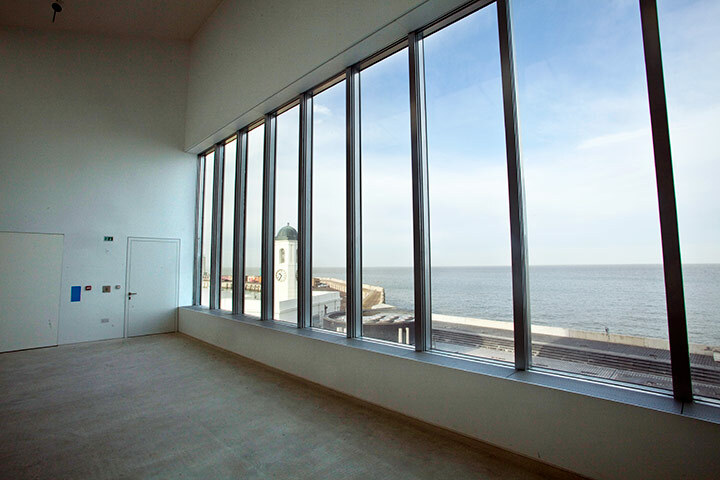 The Turner gallery in Margate and the Hepworth Wakefield will be opened to the public this Spring. Both buildings are located in the home towns of two British female icons, Wakefield’s sculptor Barbra Hepworth (1903 – 1975) and Margate’s former turner prize nominee Tracy Emin. Chipperfield has installed modernist principles into both buildings and he has also used glass to heighten feelings of space and light. These new public buildings will be an asset to both Margate and Wakefield and they will surely become symbols of civic pride in these traditional British towns for years to come.